If so, it’s time to GET FYZICAL! FYZICAL Therapy & Balance Centers in Butler, PA is unlike any therapy center you’ve been to before. 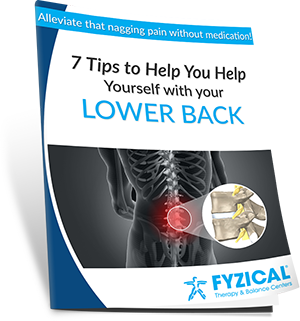 At FYZICAL, our highly skilled, compassionate team of physical therapists are 100% focused on achieving optimal health and wellness for you so you can get back to living the life you enjoy. Unlike other therapy centers, you will receive a specific program designed uniquely for you. NO 'one program fits all' here. There is NO other you! This video shows just a few of the satisfied Physical Therapy customers! Direct Access Physical Therapy: No Referral necessary! Yes, I would like to receive newsletters from FYZICAL Butler.